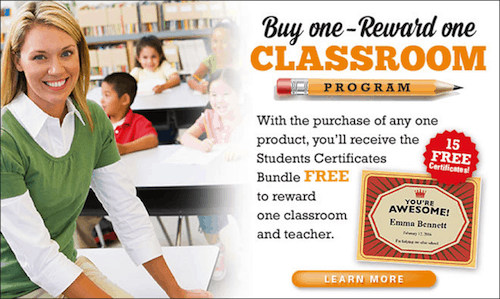 With Sports Feel Good Stories’ “Buy One – Reward One Classroom” program, you can help your favorite teacher and classroom. With the purchase of any one product at the Sports Feel Good Stories Store, you’ll receive a Students Certificates Bundle free to reward one classroom and teacher. It’s a $20 value, and it yours FREE! 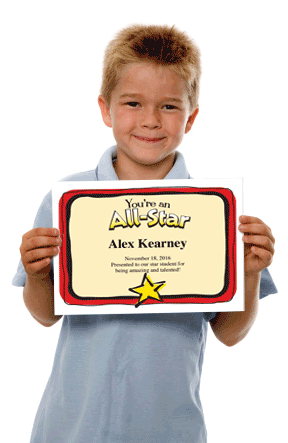 The Students Certificates Bundle includes 15 certificates including: “You’re Awesome”, “Happy Birthday”, “Thank You”, and “Star Student”. Teachers select the certificate they’d like to use, fill in some text to personalize (name, date, words of praise), print ’em, and present ’em. As the Bundle comes in the form of a PDF file – that can be used on Mac’s or PC’s – teachers will be able to use these stylish templates year-after-year. Teachers will find lots of uses for these contemporary award certificates. Reward a student, thank a parent that helps in the classroom or even give a shout out to a fellow teacher. 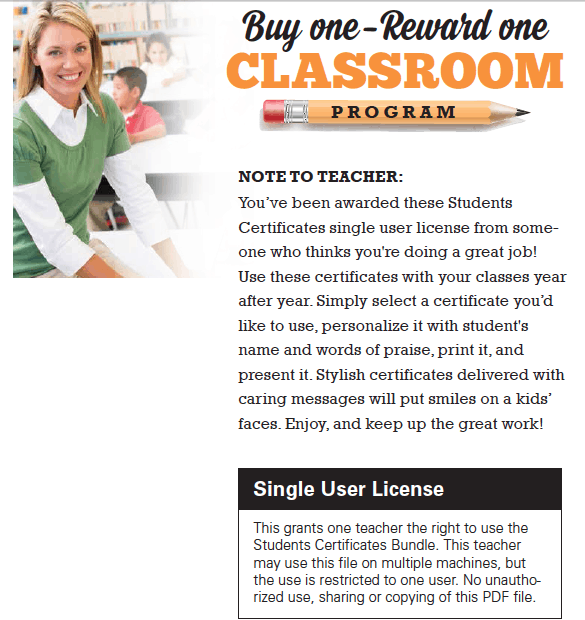 You’ll receive a link to download the Students Certificates Bundle to your desktop when you purchase a product at our store. The qualifying purchase can be a practice plan, another award certificate bundle, an MVP Offseason Workout, or something else. Explore Sports Feel Good Stories Store. Certificates like these have a way of putting smiles on peoples’ faces. And, there might be a smile on your face for helping out.